When you’re a global player, great localization is the secret to succeeding in every market. But demonstrating its value to the people that hold the purse strings can be a challenge—and that makes it difficult to build a business case for it. If you ask us, most businesses are looking at it the wrong way. That’s because, if you get hung up on measures like cost per word and turnaround times, you’re missing the real value localization brings. It’s time the industry took a more strategic approach to KPIs. 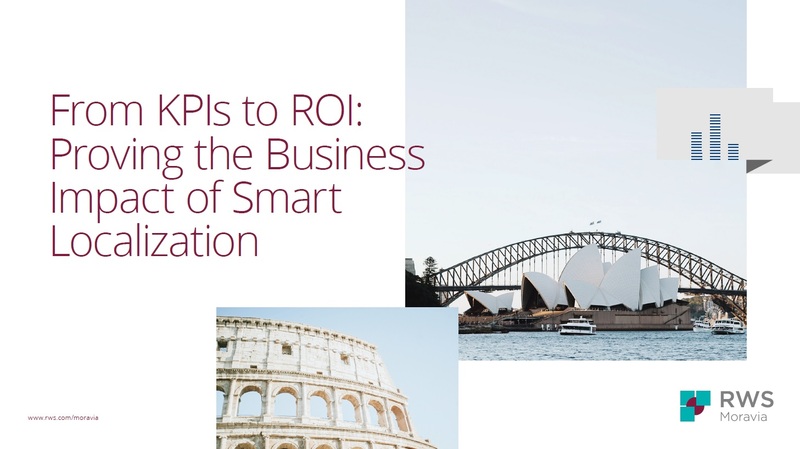 Get your copy of our new ebook and discover how a new approach to KPIs will help you demonstrate the true ROI of localization. Plus, you’ll get practical tips on finding the localization KPIs that really matter to your business.